Jiu-jitsu.News: The list of confirmed names for King of Mats is unbelievable! Mark the date April 24, 2018, because King of Mats is the must-see event of the year and you really won’t want to miss it. 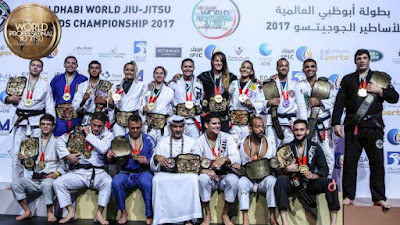 The UAEJJF’s plans to celebrate the 10-year anniversary of the Abu Dhabi World Pro couldn’t have worked out better. The organization devised an incredible idea to invite all previous champions back to compete in a mega-event called King of Mats. With only three weight divisions and the athletes facing off in a round-robin format (yes, really!) this extra-special event promises to be unlike anything we’ve seen before. And the best part is the past champions who have already agreed to be part of this incredible show.